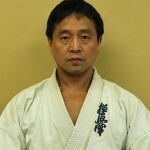 Hiro Hayashi has been training Martial Arts since he was 13 years old and still enjoys learning and training. Hiro started Kyokushin Karate when he was 16years old under Shihan Makoto Nakamura in Japan until he left the country to move to Canada. 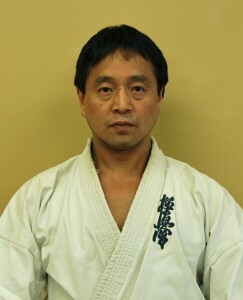 He continues to learn and train the Kyokushin Way from Shihan Stuart Corrigal and Shihan Don Corrigal in Canada. Hiro has been instructing Karate, Matial Arts, Self-defense, and fitness program over 25 years. He is a certified aerobics and strength fitness instructor, and a certified personal trainer as well. Victoria Kyokushin Karate is for everybody, however, only the devoted students will excel to the next level as it is a very demanding style of Karate Dojo. Fortunately, our present team of students are very helpful to everyone, especially for beginners. The dojo has currently moved to a new full facility location on Esquimalt Rd. Visit our new Dojo and see how we train. Osu! Victoria Dojo started operated by Hiro Hayashi ten years ago. We were training at the community hall and the fitness gym for few years. We move to new location five years ago. We train Monday to Saturday ten classes a week. We also offer four conditioning classes a week. Visit and training with Sempai Brad Cromwell, Ladysmith Dojo.